about this color too. 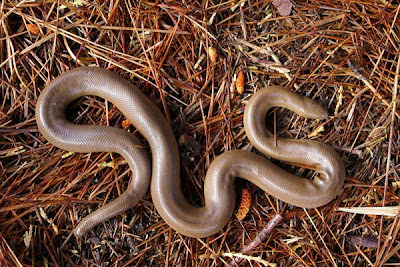 I've wanted to find a rubber boa for about the past 16 years or so, so I was pretty pleased when Gus managed to spot one on the trail without running it over. You can find some more info and more pictures of the boa featured above here. daaaang. i'm jealous. where's your pic of the critter? that's the bad news side of it - we didn't even have a cell phone with us.